When We Found Out That Contractors Were America's #1 Most Complained About Industry. So you're thinking about a major home improvement project? Congratulations! When done properly, a home renovation project will make your home more enjoyable now and increase its value over time. Unfortunately, we've all heard the horror stories about home improvement gone bad: unfinished projects, shoddy workmanship, longer-than-expected project durations, final bills that come in higher than the quote, and more. We were shocked and embarrassed to find out that, according to Better Business Bureau statistics, contractors are the #1 most complained about industry, even ahead of auto repair. We've always done a good job and treated our customers right. And we've been able to build a nice business because of it. 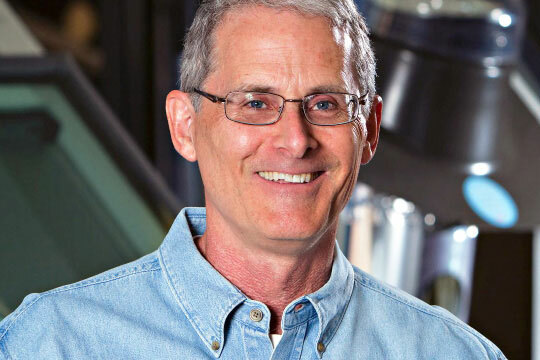 But we've noticed over the years that some consumers will choose less-than-reputable companies to do jobs for them usually because they are quoted less money. Don't get me wrong. We're all for good, honest competition. But it pains me to see good folks risk their hard earned money with contractors who have no track record, or worse, a bad (but hidden) track record. Industry Standards Weren't Tough Enough. 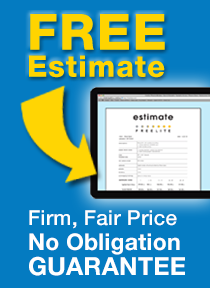 We wanted to find a way to educate consumers about how to choose a home improvement contractor. The industry standards just aren't tough enough. Virtually anyone with a hammer and a pickup truck can be a contractor. That's why we've pioneered a set of standards called the Code of Ethics & Competency for Contractors. The Code calls for contractors to uphold a high set of standards that will allow you to judge BEFORE hand whether or not a contractor is likely to do the job right. 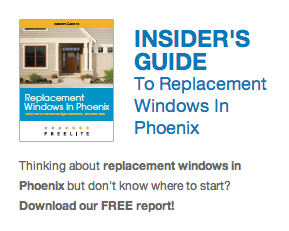 This guide specifies those standards. Before you hire any company to work on your home, make sure you consult each section of the Conractors Standards Guide and INSIST that the company comply with EVERY SINGLE ITEM listed. If you do, chances are excellent you'll get exactly what you want out of your project. It's been said that an ounce of prevention is worth a pound of cure. When the stakes are high, that saying is even truer. We hope that by reading this guide you feel more prepared to evaluate home improvement contractors and make the best decision for your family. If there is anything we can do to help, please don't hesitate to call. 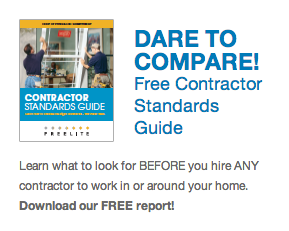 Click here to request your free copy of our Contractor Standards Guide.